Chronicling the current state of violence in the US, Revolution Radio is a staple addition to their collection. 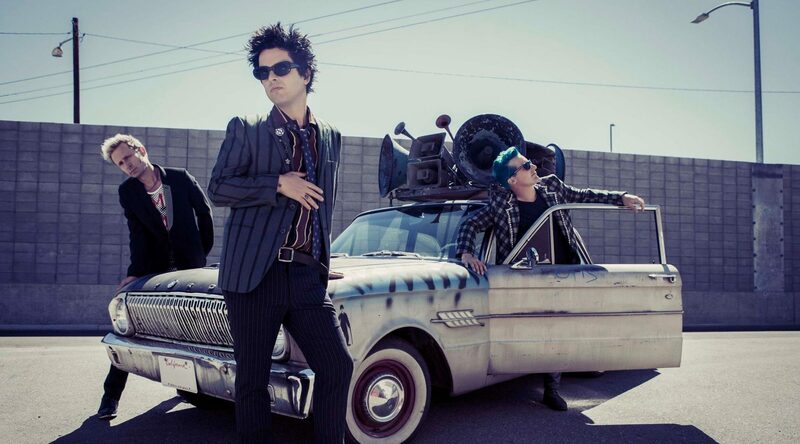 Since beginning their careers in 1986, Green Day has garnered unnecessary attention in regards to genre. Although they started out as a punk band through and through, their major label debut Dookie (1995) had the underground scene that they started out in often regarding the band as sellouts. It begs the question: if you want to be true bastions of punk rock, must you never actually be successful? Billie Joe Armstrong, however, has an answer: “You can take us out of [the]punk rock environment, but you can’t take the punk rock out of us.” Despite a desperate few continuing to harass after the band’s astounding three-decade journey from punk to stadium alt-rock, Armstrong, Mike Dirnt, and Tré Cool show no signs of stopping. Already proving to be another success for the band, Revolution Radio proves that they can still erupt with the same anarchic pleasure as ever. Seemingly completing Green Day’s holy political trinity following American Idiot and 21st Century Breakdown, Revolution Radio breathes its commentary to life through a reflection of the current state of violence in the United States, the terrible rise of mass shootings in the country, and the rise of terrorism, all of which are described on ‘Troubled Times’ (“What good is love and peace on earth when it’s exclusive? / Where’s the truth in the written world if no one reads it? / A new day dawning comes without warning / So don’t think twice / We live in troubled times”). Spanning 12 years, what the band has ostensibly done is give an intrinsic look into the American psyche under three defining political landscapes, from the George W. Bush era and its fallout to the ongoing uncertainty of the Donald Trump vs. Hillary Clinton race. Previously, these landscapes were told through the eyes of fictional characters in a fully-fledged rock opera or a partial concept record of the wreckage left in Bush’s wake. Revolution Radio, however doesn’t have a St. Jimmy or Gloria, instead being a collection of songs told straight from the band with no filter. In its two leading singles ‘Bang Bang‘ and ‘Revolution Radio,’ it has only two concept-like tracks. The former is told through the mind and eyes of a mass-shooter protesting his devotion to his sadistic ‘craft’ (“Bang bang / Give me fame / Shoot me up to entertain / I am a semi-automatic lonely boy”); the latter broadcasts a way of counteracting this age of narcissism and mass violence to the American people (“We are revolution radio / Operation no control / And the headline: my love’s bulletproof”). The remainder is either self-commentary on Armstrong’s part (especially the three-part ‘Jesus Of Surburbia’-like anthem ‘Forever Now’) or rather jovial, like ‘Youngblood’ and standout ‘Bouncing Off The Wall.’ Each fits the ethos of the record, however: commentaries on not only the political landscape of today’s USA but also the sheer disbelief that this is what the country has ultimately come to. Even though Revolution Radio isn’t as ground-breaking as American Idiot, it blows the ¡Uno!/¡Dos!/¡Tré! trilogy out of the water, returning us to the old politically-charged, stick-it-to-the-man Green Day whose growth from their punk roots to their politcally charged, alternative rock is remarkable.